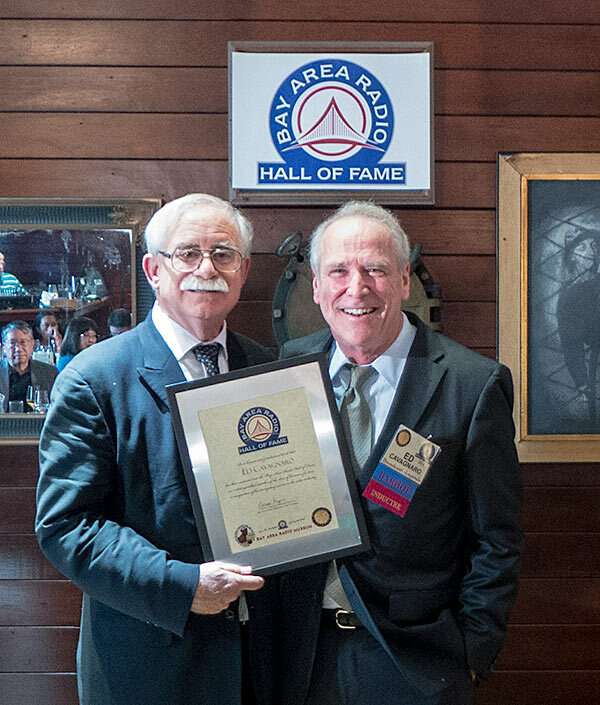 The Bay Area Radio Hall of Fame (BARHOF) inducted its Class of 2014 at the Broadcast Legends luncheon on Saturday, September 20, at Spenger’s in Berkeley. The nine members of the ninth BARHOF class includes Bob Lazich and Peter Finch in the News category, and Sam Van Zandt and Celeste Perry in the Program Host category. Our Executive category inductee is KQED general manager Jo Anne Wallace. The Specialty selection is KCBS news director Ed Cavanagro. Steve Bitker of KCBS is our inductee in the Sports category. 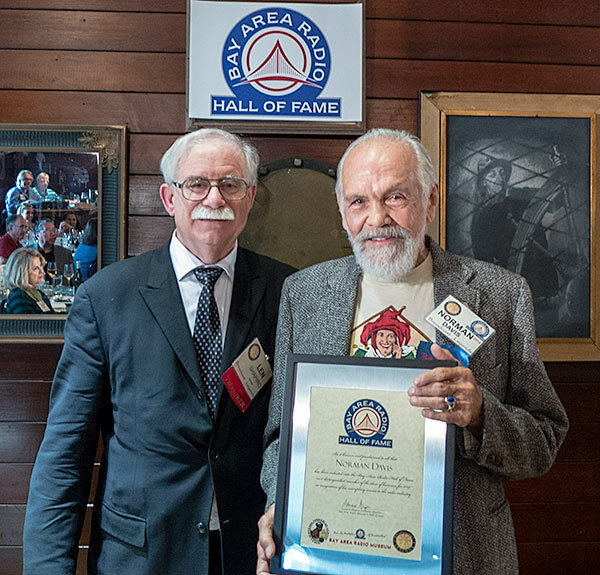 The BARHOF board of director’s choice in the Pioneer category is Norman Davis, while the Society of Broadcast Engineers (Chapter 40) selected Bill Ruck for induction in the Engineer category.. The Bay Area Radio Hall Of Fame also named KSAN — The Jive 95 — as the Legendary Station, making it the first exclusively FM legendary station. KSAN’s illustrious reign from 1968 through 1978 fueled the flames of creative freedom on the airwaves and produced some of the most incredible, inspiring, outrageous radio ever broadcast, during which Tom Donahue (BARHOF 2006) led a motley crew of radio pioneers who brought a new sound to the airwaves — freeform radio, long cuts, new artists and no-holds-barred commentary. KSAN Jive 95 proudly joins KCBS, KGO, KFRC, KNBR and KSFO as the latest Legendary Station in BARHOF. 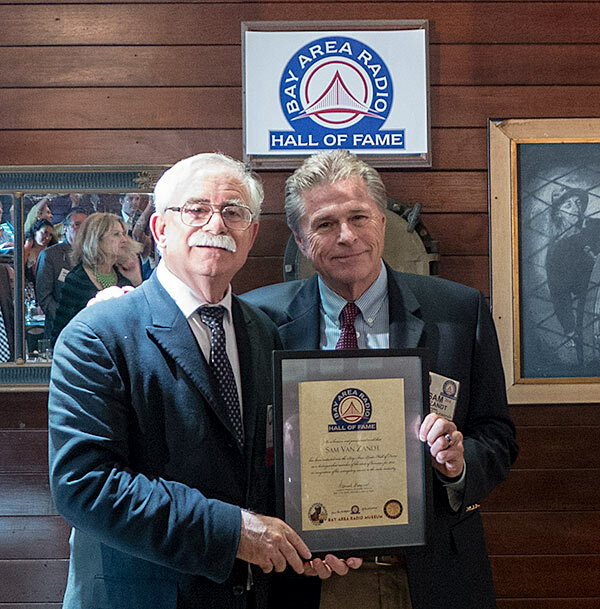 Bob Lazich, whose broadcasting career spanned more than fifty years — of which thirty were spent at KNBC/KNBR — arrived in San Francisco in 1965 and immediately started as a news writer. The station then gave him mike time after a couple of months and things took off from there. Bob, who started his radio career at age 17 in Butte, Montana, covered the Angela Davis trial in San Jose, Patty Hearst arraignment, was called out of church to cover the Oakland hills fire, kept tabs on the Zebra killer and covered three executions. Bob also did two NBC net nightly newscasts for seven years before they moved all operations to NYC. Bob is a long time member of the Broadcast Legends. Our second News honoree is Peter Finch. Peter has spent 25 yrs on Bay Area radio highlighted by his 18 yrs run as News Director at KFOG. Peter featured his “Fog Files” news feature on the KFOG morning show and now continues the concept with “Finch Files” on KGO. Peter majored in Broadcast Communications at San Francisco State University and then earned a Master’s Degree from the University of Colorado in Journalism and Mass Communication. Peter, who is also a playwright, is currently anchoring the evening newscast at KGO (810 AM). Both program hosts are still active on Bay Area airwaves. Sam Van Zandt, a veteran of more than thirty years in Bay Area radio, holds down the morning show on KBAY in San Jose with his co-host Lissa Kreisler. Van Zandt, a San Jose native, graduated from Lincoln High School and San Jose State, where he majored in Broadcasting. Sam’s career resume includes morning and afternoon spots on KYA, Star101, KNEW-KSAN, KCBS-FM and KFRC. 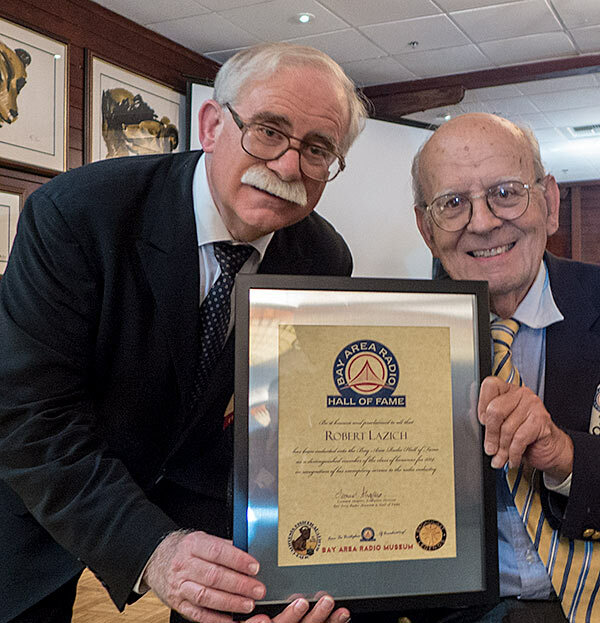 Recently, Sam was given a lifetime achievement award for 30 years service to the Muscular Dystrophy Association. Celeste Perry is currently the midday host at KOSF (103.7 FM) and the evening host at KOFY-TV (Channel 20). Celeste began her career at KQMQ Honolulu in 1979 while attending the University of Hawaii. In 1982 Celeste moved to San Francisco and since then has worked at 560 KSFO, 93.3 KYA Young Country, Smooth Jazz KKSF,106.9 KFRC and 103.7 The Band. Celeste lives in Mill Valley with her husband Alan and their rescue dog Veto. Celeste and Alan are newly minted empty nesters…their sons Aaron and Harrison live in New York. Our Executive of the Year is KQED-FM‘s Jo Anne Wallace. Ms. Wallace has worked her way up the KQED management staff over the past 25 years. She joined KQED Public Radio as General Manager in 1990, then become Vice President and GM of Radio in 1996 and now has added duties of supervising programming for KQED TV and KTEH TV. Under Wallace, a Stanford University graduate, KQED has developed into one of the most listened to public radio news and public affairs services in the nation. Since 1990, KQED’s cume audience has grown from 300,000 to 850,000. 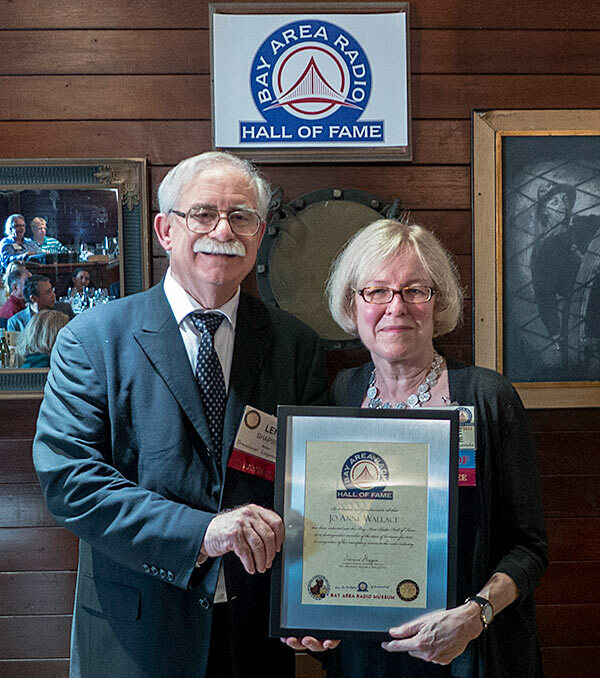 Wallace has been recognized with an American Women’s in Radio and Television Award (Golden Gate chapter) and Public Radio News Directors Leo C. Lee award. In the Specialty category, our inductee is KCBS’s Ed Cavagnaro. Cavagnaro has directed the KCBS all news machine for the past 25 years. Cavagnaro, a Bay Area native, joined KCBS in the promotions department in 1977. Six months later he moved into the newsroom as an editor. He was named KCBS Director of News and Programming in 1988. In 1990, Ed supervised the KCBS transition from a mostly-news station to the Bay Area’s only all-news station. Under Ed’s leadership the station has consistently ranked among the top Bay Area radio stations, and now is heard on both 740 AM and 106.9 FM. Since 2010, KCBS has been the number one rated station in the Bay Area, the fourth largest radio market in the country. Ed graduated with honors from the University of California at Berkeley in 1974 with a double major in history and journalism. He received his Master’s degree in 1975 from the Medill School of Journalism at Northwestern University, and worked for the Medill News Service in Washington, D. C. as a capitol correspondent for radio stations in Omaha, Salt Lake City and Springfield, Missouri. Steve Bitker, our Sportscaster inductee, has held down the morning sports anchor position on KCBS since 1991. Steve, a Cal grad, started in Fresno before getting his first Bay Area job at KNBR. He also served as a backup announcer for the Oakland A’s during their KFRC days after seven years doing the Sonoma County Crushers. He also spent three years in Japan serving as news/sports anchor for the JCTV, Japan’s only English TV station. Steve has also authored a book titled “The Original San Francisco Giants”, which features the Giants’ first season in San Francisco and profiles every member of the 1958 Giants. 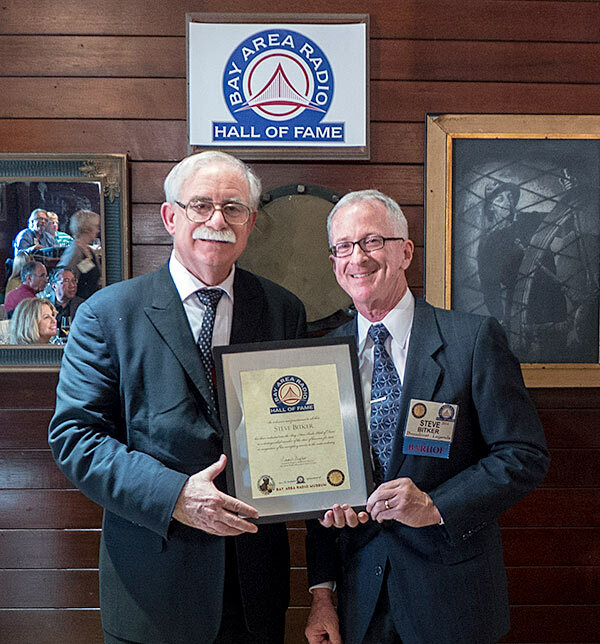 Steve has won numerous sports broadcasting awards, from the Associated Press, the Northern California Radio-Television News Directors Association and the Peninsula Press Club. Norman Davis, BARHOF’s Pioneer inductee, came to the Bay Area in 1958 from Spokane to work at KOBY, the first Top 40 hits station in the Bay Area, as “Al Knight.” Under the name Lucky Logan, Davis jumped over to another rocker, Bartell Family Radio’s KYA, from 1959 to 1965, and helped make that station a dominant force in the market. He would later help another station score big when he joined the KSAN (Jive 95) staff from 1972 to 1978 under the leadership of Tom Donahue. Norman has also worked at KSFO, KTIM, KMPX, KKCY and KOFY. 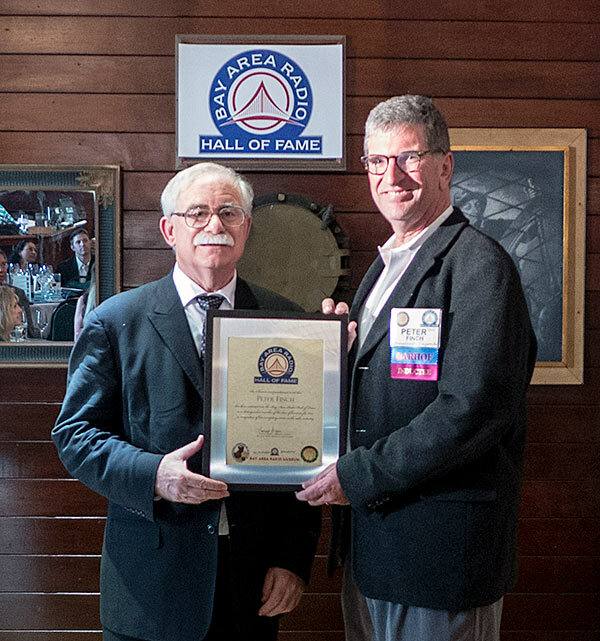 Bill Ruck is our 2014 Engineer inductee, chosen by Chapter 40 of the Society of Broadcast Engineers. Ruck started his engineering career 42 years ago at KUSF as chief engineer. He would go on to work at KJAZ, KALW, NPR-West, and Susquehanna Broadcasting for 21 yrs (KFOG, KNBR, KSAN and KTCT) as Engineer Manager. 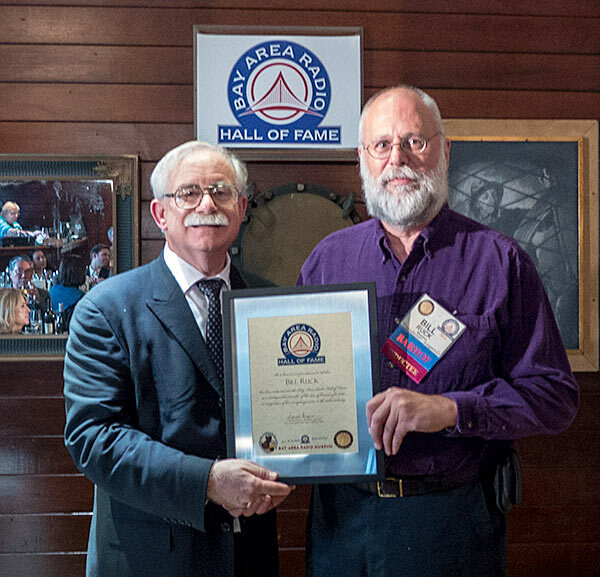 Since 2007 Bill has been working with the Maritime Radio Historical Society maintaining historic radio equipment at former RCA Coastal Marine Station KPH, now part of Point Reyes National Seashore. Bill attended UC Berkeley, US Navy AV Class “A” school and John A. O’Connell School in San Francisco.